The July digital edition of Shooting Sports USA is now available for free online. In this latest edition of the popular “e-zine”, Managing Editor Chip Lohman reports on recent major collegiate matches, including the first ever Intercollegiate Rifle Club Championship. This July issue also features an excellent article by Scott Pilkington on Airgun Maintenance. This is an important topic which needs more coverage. 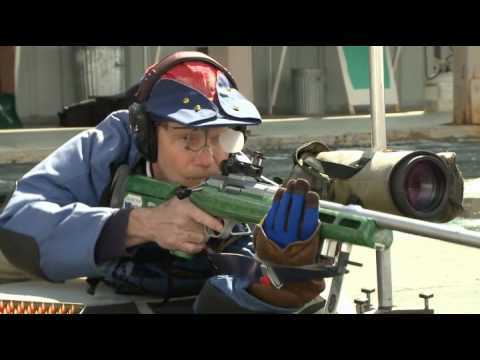 Pilkington is a respected air rifle expert who served as the official gunsmith for the U.S. Olympic air gun squad at the Sydney Olympic games. He also runs his own Tennessee-based business, Pilkington Competition Equipment, www.pilkguns.com. Share the post "Free July Digital Edition of Shooting Sports USA"
The Chimera Titanium Rings employ an assymetrical clamping design. This should allow the rings to provide stronger clamping force with less chance of ring distortion. Here’s how they work. After placing the scope in the lower halves of the rings, you screw down the top halves on one side only (opposite the bolt head that clamps to the Picatinny rail). After the three Torx screws are tightened fully on one side, so that the top Ring half butts firmly on the bottom half, there will still be a small gap on the opposite side of the ring (see photo). Don’t worry — that is by design. Final torque is applied to the side with the gap. With the final tensioning done on one side only, the scope is less prone to twist. Furthermore, the manufacturer claims this design puts less stress on the scope tube during mounting. Share the post "New Generation Tactical Rings Offer Innovative Clamping Designs"
To celebrate the U.S. Supreme Court’s 5-4 ruling in McDonald v. Chicago, Creedmoor Sports is offering a special, one-day 54¢ Shipping Sale. For today only, June 29th, ANY Creedmoor Sports order, no matter how big, will ship for just $0.54. (Ammunition and bullets excluded!) To get your discounted shipping visit CreedmoorSports.com, and Use Coupon Code: 5-4VOTE. Conditions: Sale today 6/29/2010 only. Not subject to prior sales. Shipping coupon excludes ammunition and bullets. These items will be charged shipping before the order is processed. Share the post "Creedmoor Sports Offers One-day 54¢ Shipping Promotion"
In McDonald v. City of Chicago, the most important Second Amendment legal case since D.C. v. Heller, the U.S. Supreme Court ruled that the Second Amendment of the U.S. Constitution applies to States and local governments. This will allow plaintiffs to proceed with their legal challenge to a Chicago law banning handgun possession. Justice Alito wrote the High Court’s 5-4 decision. In making this ruling, the High Court held that the Second Amendment applies to actions of State and local governments under the incorporation doctrine derived from the due process clause of the Fourteenth Amendment. Justice Thomas offered a well-reasoned concurring opinion arguing that the “Privileges and Immunities” Clause of the Fourteenth Amendment also demands that State and municipal governments not abridge citizens’ Second Amendment rights. In a decision written by Justice Alito, the Supreme Court ruled the individual right to keep and bear arms protected by the Second Amendment of the U.S. Constitution applies to states and local governments. The court split along ideological lines in voting 5 to 4 to support the right of individuals to own handguns for self protection. The Second Amendment now carries “full sway” over state and municipal actions, as do most of the other protections enumerated in the Bill of Rights. In applying the Second Amendment to state action, the Court followed a familiar blueprint under which other rights have been applied to the states by virtue of the due process clause of the Fourteenth Amendment. The case before the Court, McDonald v. City of Chicago, was filed in 2008 a day after the Supreme Court’s landmark decision in District of Columbia v. Heller — in which the high court reaffirmed that the Second Amendment protects an “individual” right to keep and bear arms. The Heller decision, however, did not reach the question of whether the Second Amendment also applied to the states. Immediately after Heller, several Chicago residents, including retired maintenance worker Otis McDonald, filed a federal lawsuit challenging the city’s long-standing gun ban. The Chicago-based federal courts ruled that the Second Amendment did not apply to the states and local governments, setting the stage for the Supreme Court to decide the question it left unanswered in its Heller decision. Credit: Thanks to German Salazar, Esq. for sourcing the text of the Supreme Court’s decision. Share the post "U.S. Supreme Court ‘Incorporates’ Second Amendment to States in Challenge to Chicago Gun Ban"
At SHOT Show in January, Nightforce revealed a new Hi-Speed option for its NXS scope line-up. This nearly doubles the MOA range for each turn of the elevation knob, giving a full 20 MOA of elevation for a single rotation. For most long-range calibers that means you can hit targets from 50 yards out past 700 yards all within a single turret rotation. That makes it far less easy to get confused with your long-range zeros. The above scope models (with hi-speed turret) will be offered with either 1/4-MOA adjustments and 20 MOA per rotation, or 1/10th Mil-Radian adjustments and 10 Mil-Radians per rotation. 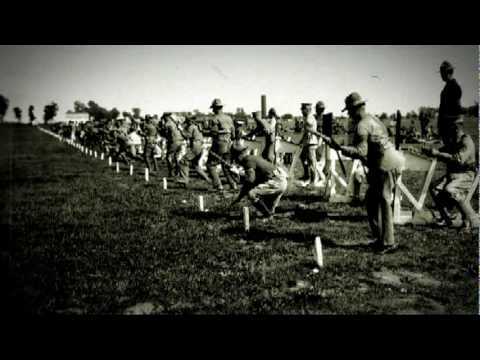 Share the post "Nightforce Takes Advance Orders for NXS Hi-Speed Scopes"
The 2010 National Junior Air Gun Championships in Albuquerque, NM concluded yesterday. The new champions were crowned last evening at an awards ceremony. Here are the top three individual and team winners from both the Sporter and Precision classes. Note: these results are preliminary, and are not final until the challenge period has ended. This was the second year in a row than the Montana Rifle & Pistol Assn. won a team championship. 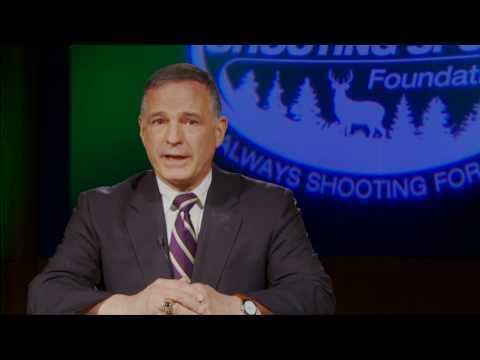 Share the post "Results of 2010 National Junior Air Gun Championships"
Impossible Shots, a spin-off of the Shooting USA TV show, is now the most-watched series on the Outdoor Channel’s Wednesday Night line-up of gun-related broadcasts. Reflecting its growing popularity, Impossible Shots will now also air on Saturdays, at these times: 4:30 PM EST, 3:30 CST, 2:30 MT, 1:30 PT. Impossible Shots features amazing trick-shooting challenges performed by six top professionals: Pistoleros Bub Munden, Jerry Miculek, and Gil Guerra, rifleman George Sutton, and archer Byron Ferguson. 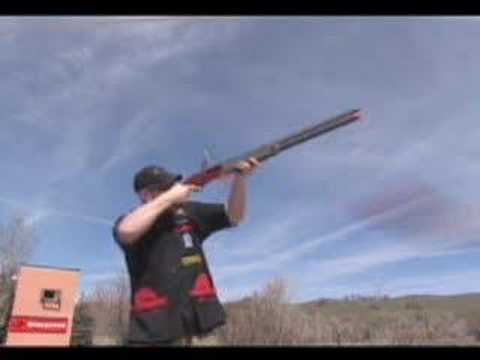 There are also regular appearances by Team Winchester’s Patrick Flanigan, considered the world’s fastest shotgun shooter. In the video below, Flanigan shoots 12 shells in just 1.442 seconds! Share the post "Impossible Shots TV Show Now on Saturdays AND Wednesdays"
Many of our readers use iPhones to run ballistics programs and to access travel maps and weather reports. We CAUTION readers who may be planning to purchase a new Apple iPhone 4 (Fourth Generation), first released on June 24th: Wait until the flaws are fixed. We know many of you guys are anxious to get the latest iPhone 4… but we strongly advise you to wait a week or two at least. Or perhaps wait a few months until an improved version of the new iPhone is available. The reason for this advice is simple — the glass panels on the new iPhone are prone to cracking, and there is a serious reception problem on many of the latest generation of iPhones. We suggest readers WAIT before purchasing an iPhone 4, based on issues we observed ourselves, as well as thousands of reports that are flooding in. There are three main problems. 1. Many iPhone 4s have hardware-related reception problems causing dropped calls. This is apparently caused by hand interference with the antenna. 2. The iPhone 4’s front screen and back plate, which are composed of a new, ultra-hard Aluminosilicate glass, are very prone to cracking. We observed this first-hand. 3. 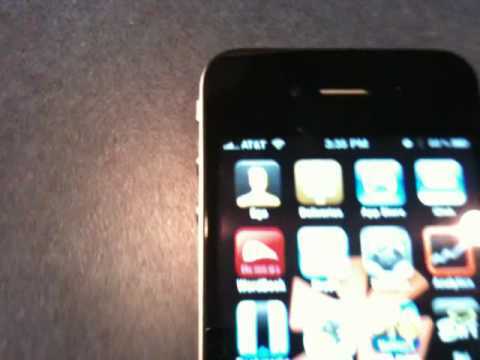 Some iPhone 4 users are reporting yellow blotches and other abnormal screen discolorations. This is apparently a manufacturing defect. On June 24th, we went to the shooting range. One of our shooters, Katrina, had just acquired a brand new iPhone 4. She carried it in a protective belt holster. After a couple hours of shooting from a sitting position at the bench, she tried to make a call, only to find that the front glass screen had a full-width diagonal crack. This phone was never dropped, tossed, or abused in any way. While the screen needs to be replaced, Katrina’s iPhone is still able to make calls — the first one of which went to Apple customer support. Many reports are surfacing about broken iPhone 4 glass. Unlike our experience with Katrina’s phone, most of the breakages appear to be on the back plate. You’ll find reports of the breakages in the Apple forums and on major tech websites. Gizmodo.com reports: “Cases of broken iPhone 4’s backs are already appearing. This hasn’t changed from previous generations…. But the difference is that the iPhone 4 is all glass. If you drop any other phone, you have a 50% chance of breaking its screen. With the iPhone 4, the risk will always be there, no matter how it falls. It’s just more exposed to damage because of the material choice.” Another breakage report. CNET confirms the cracking glass problem in iPhone 4s, and has already published a do-it-yourself YouTube video showing how to replace the glass rear plate. There is a widespread problem with iPhone 4s losing reception when held in the hand. The video below shows how just picking up the iPhone and holding it normally will cause loss of reception. The problem appears to be hand contact with the iPhone 4’s metal frame, which serves as the antenna. Rubber Bumper Partial Reception Fix? 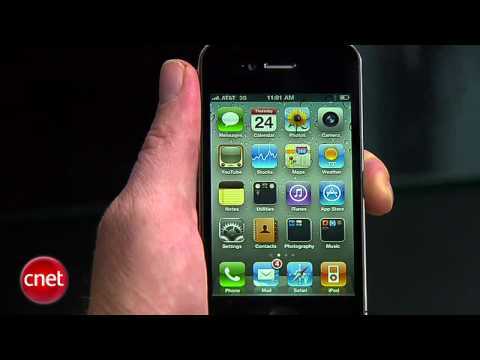 Here is a further CNET video report confirming the reception issue with multiple iPhone 4 test units. The problem is more acute with some users than others, and CNET did suggest that installing a $30 rubber bumper may help with the problem. Tests by igear360.com show that bumper can raise iPhone 4 downloading speeds, but uploading speeds still suffer substantially. Click here for iPhone bumper tests. Share the post "Warning: New Apple 4th-Gen iPhone May Have Serious Flaws"
MidwayUSA is running a sale right now on Burris Signature and Signature Zee scope Rings and Pos-Align inserts. The Burris Signature Rings feature polymer inserts that fit between the scope tube and the ring itself. This protects the scope finish and also allows the scope tube to self-align within the rings. By using offset inserts with different thicknesses, you can keep your scope centered in its range of travel. You can also use the offset inserts to pre-load elevation into your scope, thus avoiding the need to purchase an expensive angled base for shooting at long ranges. As examples of the current savings, Burris 1″ Signature Zee Weaver-Style Rings High Rings are marked down from $36.99 to $32.99. A set of Burris 1″ Pos-Align Offset Inserts (.005, .010 and .020) is now just $10.99, marked down from $14.99. Share the post "Burris Signature Rings and Inserts on Sale at MidwayUSA"
AccurateShooter.com has a new sponsor, Webyshops.com, which sells a full range of sporting optics for hunters, varminters, and competition shooters. To kick off WebyShops’ participation with our website, Mike Orlov, who runs Webyshops, has agreed to provide some EXCLUSIVE specials for AccurateShooter.com readers. These specials, just for our readers, are a full $50 below the normal low price. The Super-Sale items are limited quantity, first come, first serve, and subject to availability. When they’re gone, they’re gone. Go ahead and comparison-shop first. We think you’ll find these exclusive specials are hard to beat. For example, the Eotech 516 sells for $456.56 at Amazon.com, and $479.99 at Cabelas.com. IMPORTANT: To qualify for these special prices, use Coupon Code ACCSHOOTER when you check out with your online order. For phone orders, call (800) 851-9329, ask for MIKE, and say you are an AccurateShooter.com reader. Share the post "Special Optics Offers — Exclusively for Our Readers"
Midsouth has knocked $44.00 off the price of the RCBS Chargemaster — it’s now on sale for just $279.99. If you need a media separator, Midsouth’s “house brand” rotary sifter is a steal for $19.29. There are many other great deals in the flyer. Midsouth has done something really fantastic — it has created affordable kits that include all the key internal parts and pieces that can wear out (or get lost) on an AR15. Great idea. AR manufacturers should provide kits like these with every complete rifle sold! For under $30.00, Midsouth’s Field Repair Kit includes: firing pin, 2 firing pin retainers, bolt cam pin, 3 bolt gas rings, buffer detent, buffer detent spring, extractor springs, & pads, disconnector spring, disconnector, hammer spring and trigger spring. Share the post "Summer Bargains from Midsouth Shooters Supply"
The problem with most flashlights is that, when you really need them the most, you often find the batteries are discharged. A flashlight with dead batteries is useless in an emergency. The new LED Magna flashlight doesn’t need batteries at all. Inside the housing is a copper coil. By shaking the handle of the unit you cause a magnet to pass back and forth through the coil. This generates electricity which is stored in a capacitor. Just a few shakes will generate light. The LED Magna Light costs just $4.68 plus shipping from www.techdeals.us. At that price you can afford to keep one of these lamps in each of your vehicles, plus one in your range kit or “bug-out” bag. Now we just wish somebody made kinetic-powered cell phones and GPS units. It seems we are always struggling with low batteries on those often-used electronic devices. And why hasn’t anybody put a solar panel on the back of the iPhone yet? Share the post "Kinetic-Powered Flashlight Needs No Batteries"